A little preamp I could only assume someone salvaged from a Hammond organ because the rectifier tube has “Hammond” silk screened on it. 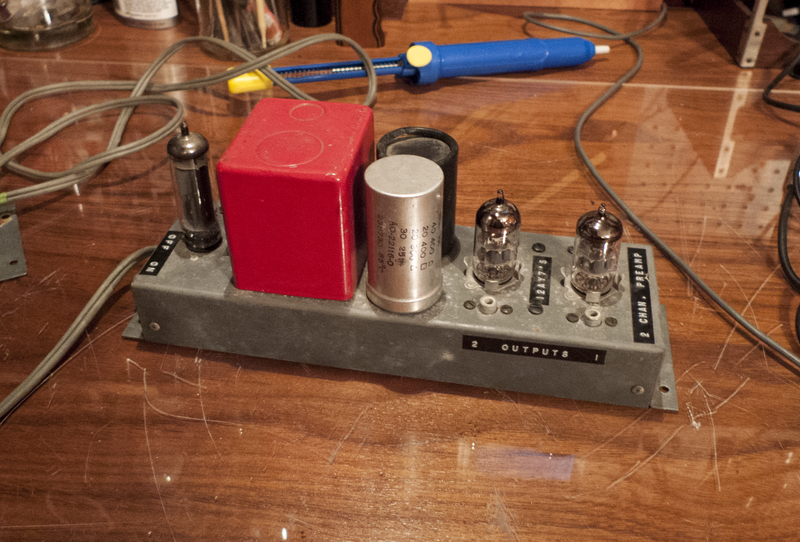 It has a 6X4 rectifier and one 12AX7 per channel for stereo. There are RCA ins and outs on each side of the 12AX7s. Interestingly the Mallory can capacitor has a low voltage cap in it along with three high voltage caps. The low voltage cap is for the cathode bypass for the 12AX7s. Preamp did not work because of a broken connection on the cathode resistor pin 3. The 12AX7s have shared cathodes so both channels didn’t work since each channel had one gain stage that would not pass signal. Worked alright once the broken connection was fixed and the preamp tubes were replaced. It had some old RCA 12AX7s. One was really weak compared to the other one so I put in a new 12AX7 which then made a much bigger signal compared to the remaining old RCA 12AX7. I guess one was weak and the other one was really weak. 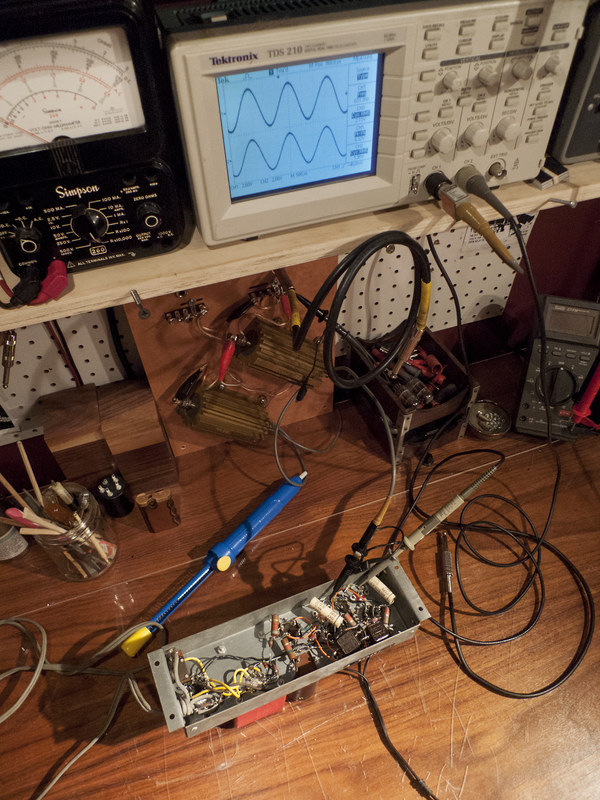 With two new 12AX7s the signal amplitudes per channel are equal. 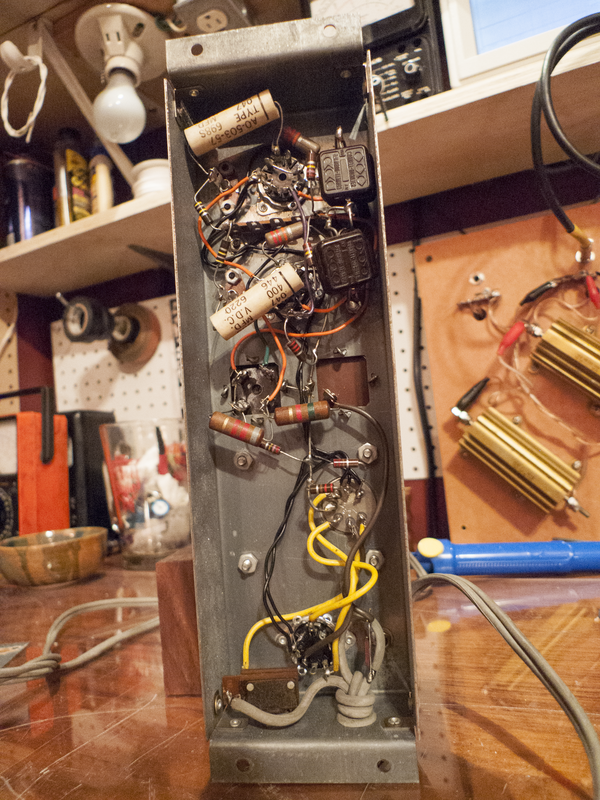 No schematic since it’s just some DIYers salvaged old preamp.